We have a release date! Hello everyone! Just wanted to let you all know the game will be available on Steam from February 13, 2017. 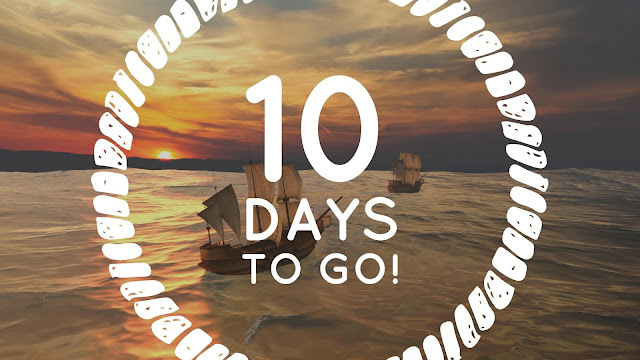 Stay tuned, only 10 days to go! Congratulations! I've been following the dev blogs for a while since I saw a post on r/gamedev about this game. I'm very curious how the game ends up playing, and how it compares to the Patrician series and Rise of Venice. So far, the description suggests WoT will have more depth, which is what I was missing in Rise of Venice. (Let's forget Grand Ages: Medieval ever happend, alright?) Can't wait till the 13th! What is your policy for Youtube videos and/or Twitch streaming? Do you allow it, and if so is all of your music either original or licensed royalty-free? I'm asking because copyrighted music could cause issues with Youtube's ContentID system. Hello there! I do allow Youtube videos and Twitch streaming. About the music, it was written by a composer for the game and it's licensed, so he retains ownership. I'm not 100% sure about the terms of the license, so I should check that. Can you contact us through the contact form in the main www.windsoftrade.net website so we can work something out? Thanks! Whatever happened to a playable build we could all try and give feedback on? I've been following this for a very long time and at one point I thought I'd heard there was a "friends & family" build to be shortly followed by an open alpha or something like that. Since then there's been nothing. Would have loved to play the hell out of this and give heaps of feedback. Unfortunately it didn't go that way. Hello Stephen! I'm sorry to hear you feel that way. I honestly do not recall making a concrete plan to releasing a public alpha version. There has been a relatively open beta version to gather feedback. Too bad you didn't get in touch with us about that earlier, as we would have loved to get your feedback. The game's release is just a week away, so you're almost there anyway! Thanks for your support! Winds Of Trade now available on Steam!